Job portals are required to upload our profile/resume to different categories based on their interest. Recruiter will search post their recruitment details and send call letters if your profile meets their needs. Naukri is one of the best job portals in India for both freshers and experienced graduates. Here we can find various categories like Sales, marketing, IT Software/Hardware, Voice Process and Engineering related job Alerts. It required user has to create profile based on their area of interest. Monster India, India’s leading online career and recruitment resource with its cutting edge technology provides relevant profiles to employers. More than 200 million people have registered on the Monster Worldwide network. Monster is primarily used to help those seeking work to find job openings, for lower to mid-level employment, that match their skills and location. Indeed is a American based employment portal for various categories of job. It has employment details for various fields like IT, Sales, Marketing and BPO/KPO jobs. LinkedIn is a business oriented social network portal for professionals around the world. LinkedIn jobs help many fresh 7 experience candidates to get their dream jobs in top MNC Companies. Freshersworld.com is a job Portal for fresher’s hiring in India with a database of over 1 Crore+ resumes. More than 3 Lakh+ resumes are added every month from entry level graduates across the country. Job sites get the job opportunities from various sources like company website, popular Job portals and social Media. Here we can find off-campus drive details, direct walk-ins and link to apply to top companies. Chetanasforum is one of the best job forums for IT Graduates. Here we can find off campus, Daily walk-ins and BPO jobs in various cities in India. Sreejobs is a job site for fresh Engineering graduates. It has only software related jobs for freshers. 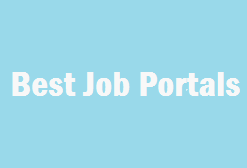 Here we can search jobs in Bangalore, Chennai, Pune, Hyderabad and various cities in India. If you are a fresher looking for job vacancies, FreshersLive is the right place to choose. Here you can find thousands of small and top companies listing their job vacancies online and helps you to find the current job openings for fresher as well as experienced in and around India. If you feel anyother site is good, comment below. It will helps others to get job. find us @ Freshers jobs way provide freshers jobs ,walkins,direct recruitment,openings for freshers and experienced and recruiting experienced and freshers. It is very helpful post for one who seeking jobs as a fresher keep share the valuable post like this.. It is very helpful blog.Couldn’t be write much better!Keep it up!Thank you for this post, it was a very interesting read. Here you are providing such a nice and good information and this is very informative for every job seeker. This is really helpful for everyone. Very useful information for me thank you for sharing !!! good article for job seekers and especially for my marketing career and thank u. Very useful post for all the jobseekers like me. them access to a vast network of good quality candidates. Very nice article that is published on this web page. Thanks for sharing this valuable content. Its really helpful. Could you add http://www.69jobs.com - India's No.1 Job portal for freshers. Well most of the listings are outdated. I would recommend to remove those listings and update it with new ones. Freshers can have a look on: http://www.69jobs.com - No.1 Job Portal for freshers job, IT jobs and Bank jobs. Post your resume today! 69jobs.com -No.1 Job Portal for freshers. Get all verified jobs listed on our website. Also get free notification via mail and whatsapp. What is the process to get NPCIL Stipendiary Trainee Admit Card 2018. Can u plz tell me??? latest jobs in India with uptodate information, you can also check it out. Hi admin, thanks for sharing this post with. Really useful for every one to find a job based on their talent and skill. Thanks for sharing this post with us.